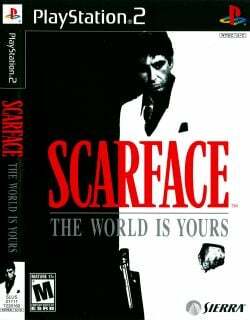 Game description: In a complex world filled with excess and greed, players can take the role of Tony Montana, one of the most ruthless gangsters ever depicted on film. Highly acclaimed screenwriter, David McKenna, has written an original event-driven storyline for the interactive game that leads the player through a sordid underworld. The Scarface video game creates a gameplay environment that authentically recreates the historical time period of the film, touching on politics, news items and events of the day. Players travel through the steamy, often violent streets of Miami, the irie islands of the Florida Keys, the Bahamas and various other locales and interact with a world full of seedy and dangerous characters to procure information, negotiate business deals, smuggle contraband and avoid rivals and DEA on a mission to rebuild their fallen empire. USA v02.20(10/02/2006), High consumption of CPU., Game presents lack of stability,mainly with MTVU and some speedhacker,However free of all these game will crash time by time. This page was last edited on 18 June 2018, at 19:26.